Made from carbon, diamonds are the hardest known substance to man and are both a naturally occurring and manufactured abrasive. Natural diamonds form at high pressure high temperature conditions existing between 85 to 125 miles in the earth's mantle. It takes a diamond 1 to 3 billion years to form beneath the earth. Select your diamond and call for an appointment to view your diamond selection. The universal method of assessing any diamond, anywhere in the world. Diamond carat weight measures the diamond’s apparent size. Each carat can be subdivided into 100 ‘points.’ This allows very precise measurements to the hundredth decimal place. A jeweler may describe the weight of a diamond below one carat by its ‘points’ alone. For instance, the jeweler may refer to a diamond that weighs 0.25 carats as a ‘twenty-five pointer.’ Diamond weights greater than one carat are expressed in carats and decimals. A 1.08 carat stone would be described as ‘one point oh eight carats. Diamond color actually means lack of color. 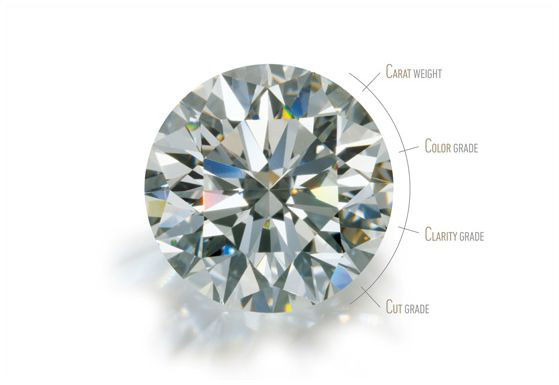 When it comes to diamonds, most consumers tend to use the words “cut” and “shape” interchangeably. But for diamond professionals, there is a big difference. 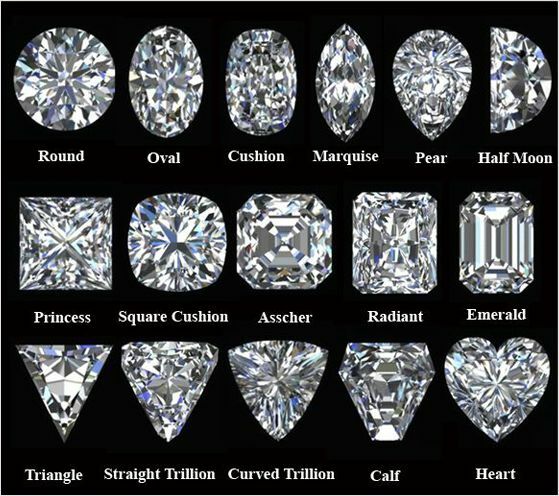 Diamond Shape refers to the outline of the stone (pear, oval, round, etc.). 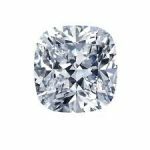 Diamond cut refers to a stone’s facet arrangement. So a shape can be faceted in a variety of ways, or cutting styles. The most common facet arrangement, known as the brilliant cut, is applied to many shapes. It consists of 58 facets (if a culet facet is included) or 57 facets (if the culet is pointed). There will be one octagonal table, or top flat surface of the diamond and 16 kite-shaped facets and 40 triangular shaped facets and an optional small octagonal facet at the culet. The round shape is the most popular, often used as a solitaire in engagement rings, earrings, or pendants. It’s estimated that 75% of all diamonds sold are round-shaped and according to research by The Knot, 53% of engagement ring center stones are round. The cutting style known as the round brilliant has been around since the 1700’s, but has been modified over the years. 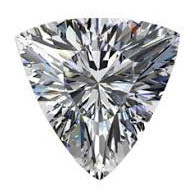 The angles we see in today’s modern round brilliant – angles that help to enhance the diamond’s fire and brilliance – were first suggested by Henry Morse of Boston in the 1860’s and later slightly enhanced by Marcel Tolkowsky in 1919. In 2005, a scientific way to assess — and help cutters plan and predict — the cut quality of round brilliant cut diamonds was introduced by GIA. The oval shape has probably the longest known history, with the first mention of an oval shaped diamond occurring in 1304: the famous Koh-I-Noor, which now resides in the Tower of London. One of the most notable oval brilliant cut diamonds is the 184 carat Victoria, which was cut in 1887. The oval brilliant was popularized and modernized in the 1960’s. Containing fire and brilliance, the oval is suggestive of the round shape but is more unique. This shape also creates an illusion that the finger is longer and slimmer. The oval can be narrow or wide, depending on personal preference. The marquise shape was named in 1745 for the Marquise de Pompadour, mistress of Louis XV of France. The long and narrow shape, said to resemble the shape of the Marquise’s mouth, creates an illusion that the diamond is of greater size. Symmetry is quite important with this shape, as even the slightest difference can create and uneven, imbalanced look. The pear shapes trace their history to the 1400’s, with the brilliant style being added in the 1700’s. Pears have gently rounded shoulders and wings (the sides near the point) for an appealing outline. The point should always be directed out toward the fingers of the wearer, and the shape has a slimming effect on the hand. This shape is similar to the marquise shape, in that symmetry is extremely important. 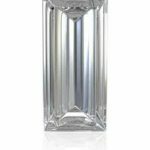 An octagonal shaped diamond, the emerald cut was designed to highlight the qualities of emeralds. This cut is highly coveted due to its square or rectangle table-top cut and step-cut facets. The emerald cut’s smoothly beveled corners add visual appeal and provide a secure setting area vfor the prongs. This cut results in a more mirror-like look and requires a stone of very high quality. Square shaped diamonds include the princess cut and quadrillion cut. These cutting styles were created in the 1980’s and are also very popular cuts for engagement rings. The square shape creates the illusion of a larger diamond. A princess or quadrillion cut diamond should always be set with prongs that protect the four corners–the areas most prone to chipping. The cushion cut. The brilliant style has been around since the mid-1700’s, it was the most common cut until the early 20th century. Originally designed to retain as much weight from the original crystal as possible, this brilliant cut combines a square cut with rounded corners (much like a cushion). 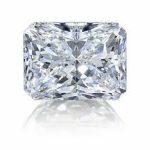 Antique dealers are often on the lookout for the older version of these diamonds, as their light patterns tend to be chunkier and more distinctive than modern-cut diamonds. The radiant and barion cuts. Perfected around in the 1970’s, these create vibrant and fiery diamonds, ideal as a center-stone surrounded by smaller diamonds. The baguette cut. Named for the French word baguette, which means “long rod,” this cut became popular during the 1920’s, an era when the Art Deco movement encouraged geometric shape and symmetrical flow. This cut is generally used for smaller side stones. They are often measured by dimensional size, rather than carat weight. 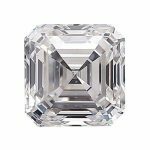 The Asscher cut. Developed in 1902 and named after its creator, Joseph Asscher. It was also a popular cut for Art Deco jewelry. 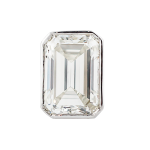 It is similar to the emerald cut, though it differs in that its facets are larger and it tends to be square rather than rectangular. Around 2002, this cut became popular again as modifications were made to the cut. The heart shape diamond can be a beautiful symbol of love and romance. A skilled cutter creates the heart shape, always keeping an eye on the heart’s balance and symmetry. This shape is ideal as a pendant and is very popular around Valentine’s Day.